‘The Dutch are so relaxed and easygoing!’ That is what many foreigners hear when they leave for the Netherlands, but this often turns out to be less than accurate. In fact, in many respects, the Dutch are surprisingly formal. And what’s more, they possess their share of idiosyncrasies: some of their ways and manners being quite different from anywhere else. Such different or unfathomable ways of behaving sometimes make foreigners and expatriates feel unsure of themselves, since they do not know how they should act or react in a given situation. But someone might also feel offended, for instance, if a Dutch person does something that seems rather inappropriate according to that foreigner’s cultural perceptions. To avoid misunderstandings and difficulties in adjusting and to make the lives of foreigners in the Netherlands easier and more successful, this book Manners in the Netherlands – Dutch Ditz, covers the most important aspects of etiquette deemed to be typically-Dutch. These are dealt with in seven chapters laced with questions, info blocks, quotes and (historical) background. To achieve as broad and reliable an overview as possible, the author spoke to numerous expatriates in the Netherlands. She also visited so-called expat centres set up by companies and municipalities and spoke to the heads of expat societies and international clubs. The many observations and experiences of all these foreigners revealed just how different the Dutch actually are – and especially different compared to how they see themselves. 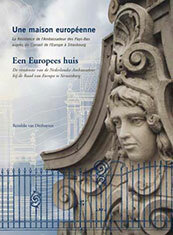 Thus this book serves another – unexpected – purpose: it also compels the Dutch to take a good look in the mirror! Photo: Reinildis van Ditzhuyzen in the TV-Studio in Madrid, Spain (facing the Royal Palace) at the wedding of Crown Prince Felipe & Letizia Ortiz. Reinildis v. Ditzhuyzen has written 15 books since 1980 (in the field of cultural history). 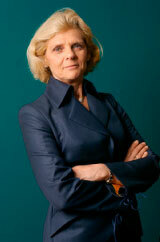 She is particularly well known as an expert on the monarchy, history of universities, and also on general etiquette. Several of her publications have been devoted to the Dutch Royal Family. Her book on etiquette has been published 14 times. Her Etiquette Calendar, with a daily question (and answer) on good manners, is extremely successful. 2018 [42nd edition]: Hoe hoort het eigenlijk? – De Dikke Ditz (on correct etiquette). 2008: De Dunne Ditz (mini booklet on etiquette). 2006: ‘Deine getreuwe muter allezeit’. Juliana von Stolberg 1506-1580 (biography of the mother of William the Silent, ancestress of the House of Orange. In German and Dutch). 2004: Een Europees Huis. De residentie van de Nederlandse ambassadeur te Straatsburg 1904-2004 [in Dutch and French; a history of the residence of the Dutch ambassador in Strasburg, France]. 1968 [third edition]: HELP! English basic words. As a pupil at a ‘Gymnasium’ secondary school, Reinildis van Ditzhuyzen, together with her classmate Ankie Clerkx van Keulen, published a little booklet containing basic words in English, which at that time were required to be learnt for the final examination.The booklet was unexpectedly successful; a second and even third edition of Help! followed. Other schools were interested in purchasing copies of the booklet and the compilers traveled throughout the country selling it. Arnhem 1968, 50 p.
Reinildis van Ditzhuyzen is a regular guest on television and radio programmes. She also appears on several foreign television channels as an expert on background information and current news regarding the European monarchies. She also delivers speeches at home and abroad on a variety of subjects and in various languages including French, English, German, Swedish or Spanish.